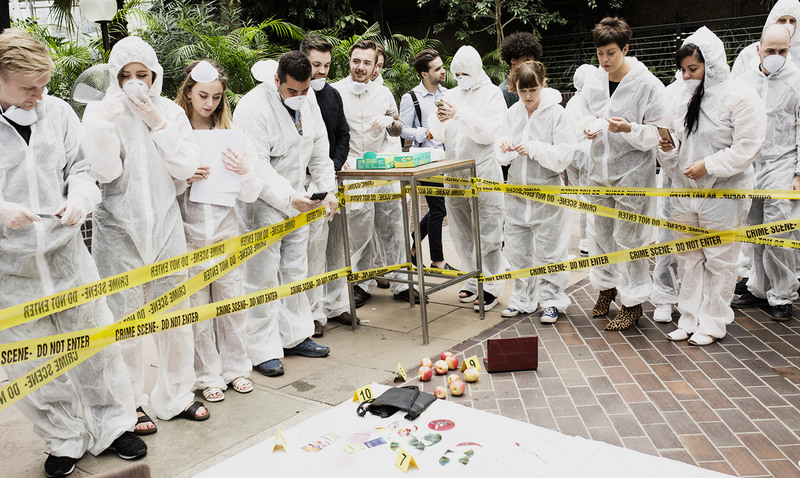 From solving crimes to experiencing your favourite TV shows, we create memorable events to inspire your team. When looking to organise Corporate Events and Team Building Experiences then you cannot overlook Edinburgh as the perfect location for your next event. The best thing about being in Edinburgh is that you can easily find something for everyone and the city is very well connected. Scotland’s capital city is bursting with great things to do and wonderful places to explore. The centre of Edinburgh is just a short bus ride from Edinburgh Airport which is cost-effective to fly into, with great links from all sorts of airports around the rest of the UK and Europe. The train station is also very central. If you are looking for a unique activity our “Taken” Kidnap Experience is perfectly match with Edinburgh and the surrounding cities. If it is the history you are more interested in, then our GPS City Explorer GPS Treasure Hunt will keep guests engaged and on their toes, whilst exploring the streets of the city. The Royal Mile plays host to a variety of amazing hotels, topped off at one end with iconic Edinburgh Castle. Immerse your team with an exhilarating Virtual Reality CSI Experience and solve who committed the crime. Get outside with our "Multi-Activity Days". Think everything from Duck Herding to Welly Wangling. A high-end hotel with superb event spaces situated opposite the stunning Holyrood with views of Arthur's Seat. We've got loads of outdoor events to choose from. Escape the weather or just hold your event Indoors.